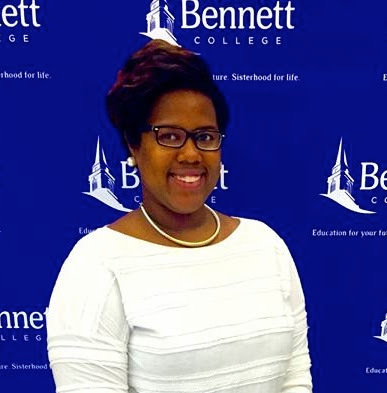 "GREENSBORO, NC — Bennett Junior Asheley Taylor was selected by the White House Initiative on Historically Black Colleges and Universities as one of the 73 HBCU All-Stars for 2016 for her accomplishments in academics, leadership, and civic engagement. The All-Stars were selected from more than 300 students who attend HBCU’s in 24 states, the District of Columbia, Ghana, Nigeria and the Virgin Islands. Over the next year, the students will serve as ambassadors by providing outreach opportunities and communicating with other students about the value of both education and the Initiative as a networking source. Using social media, relationships with community-based organizations, and sessions with industry professionals, the students will share proven practices that support opportunities for all young people to achieve their educational and career potential. They will also participate in the White House HBCU Week Conference, national and regional events, and webinars with Initiative staff and other professionals on a range of disciplines that support a spirit of engagement and personal and professional development. Taylor has been involved in campus life at Bennett. She served as sophomore class secretary for the 2015-2016 academic year and was also involved as a Student Ambassador, member of the Psychology Club and the Student Union Activities Board FOCUS group. This year she serves as president of the Student Ambassadors and Vice President of the Psychology Club. Among her honors and achievements are being selected as a Tom Joyner Foundation Scholarship Recipient and as a Summer Medical/Dental Enrichment Program Scholar. She is the daughter of John Taylor of Durham, N.C."